Dedicated to Pakistan Air Force Sherdils... aerobatic display team! 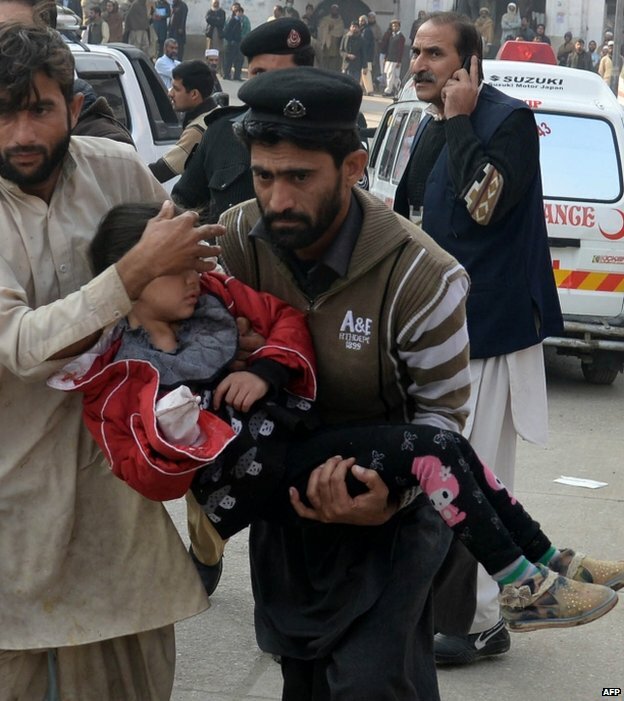 Pakistan, home to a population of almost 200 million people, rich in culture and exotic places for tourism has faded under the dark clouds of terrorism and other mind-numbing concerns. 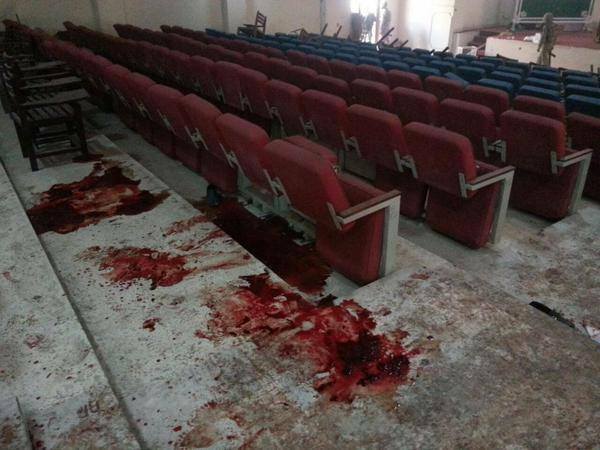 However, let’s for once not highlight our slip-ups and focus on the brighter side of things. These exotic destinations will make you want to pack your bags and leave immediately. 1. A location amidst the Seven Kingdoms from Game of Thrones? This is Kalash Valley, Chitral. Where the Nuristani people of Kalash speak ‘kalashamondr’. Breathtaking! 2. A hospitable café by the river in Switzerland? Not at all! 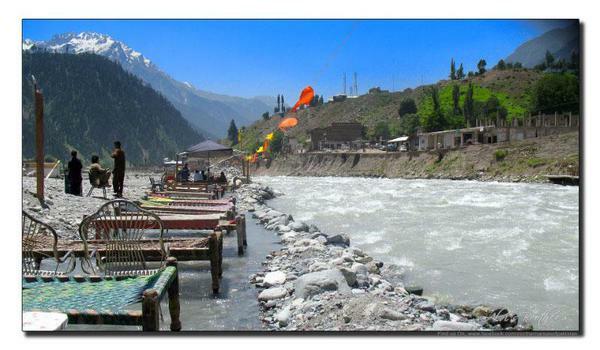 This is Kalam Valley, Swat. A tourist hot-spot, labeled as ‘mini-Europe’ by many. 3. Volcanoes fascinate everyone. Is this on Dante’s peak? 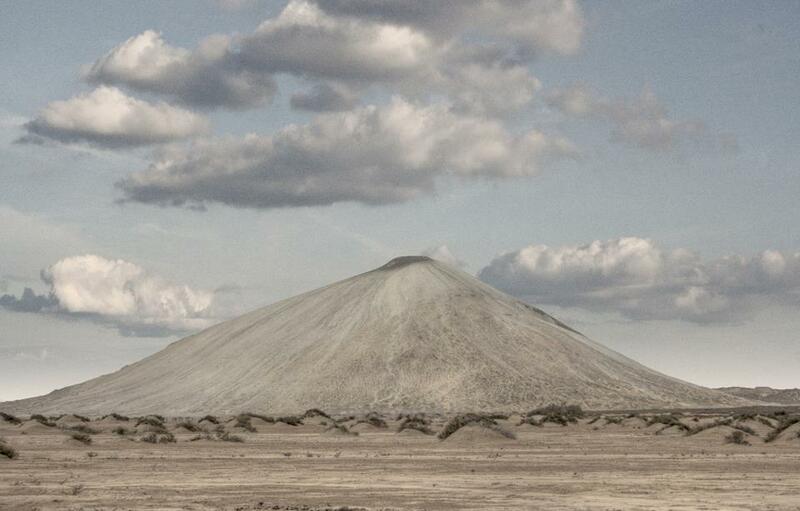 Not exactly, these Mud volcanoes can be found in different regions of Balochistan. This particular one rests in Hingol, Balochistan. 4. The magical waters from the Chronicles of Narnia? Can’t be. 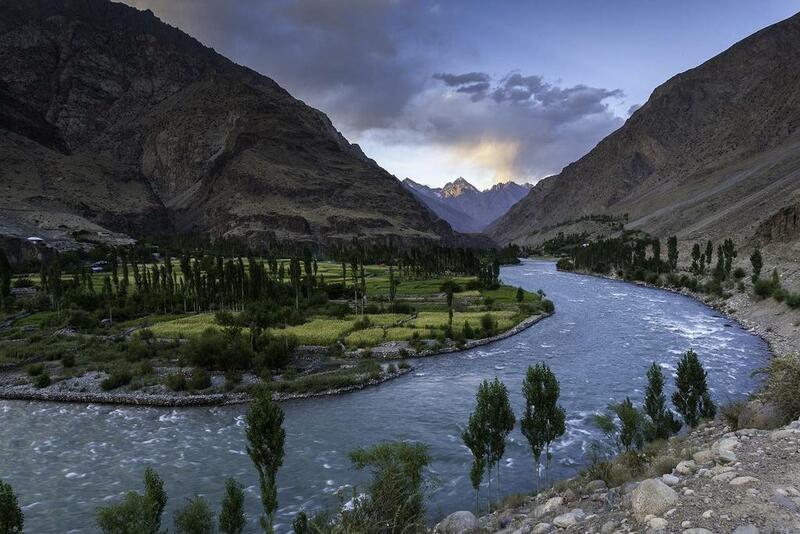 This is the exotic Ghizer River in Gilgit-Baltistan. 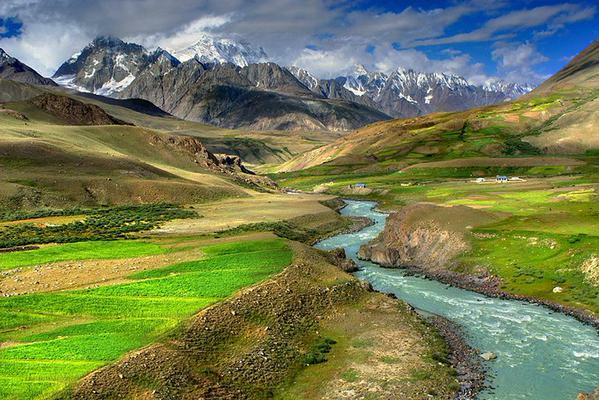 Wrapped around lush, green and pleasant landscapes, Ghizer is a diamond in the dirt. 5. Definitely something taken out of a Hollywood movie? Not to be. 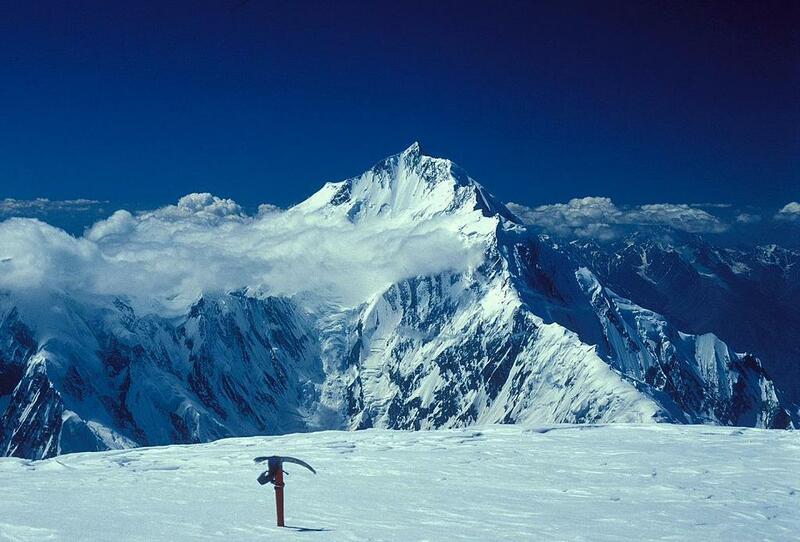 These are the Rakaposhi-Haramosh Mountains, Karakoram. 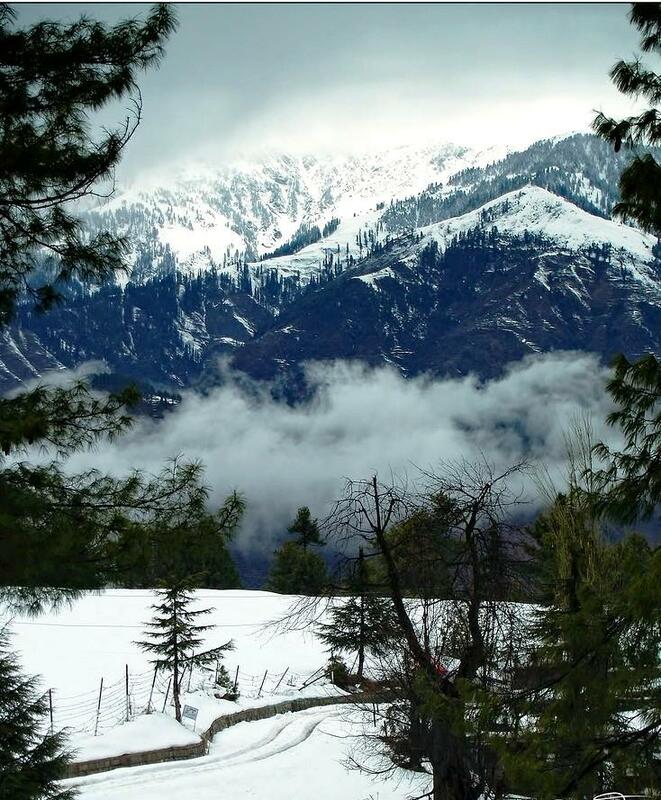 Amongst the largest in the world, these mountains are a trekker’s fantasy. 6. 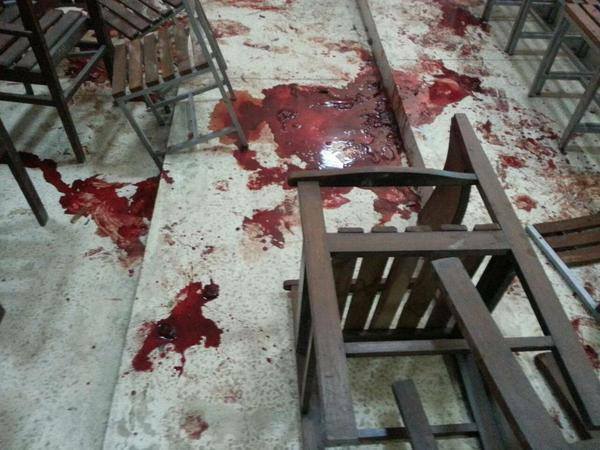 Did you just open your window in a Khatmandu resort? A window does open, but from the Hunza Valley, Gilgit-Balistan. The Burushaski speaking locals live a happy, peaceful life amidst cold weathers. 7. A temple for the faithful situated near the holy river Ganges? 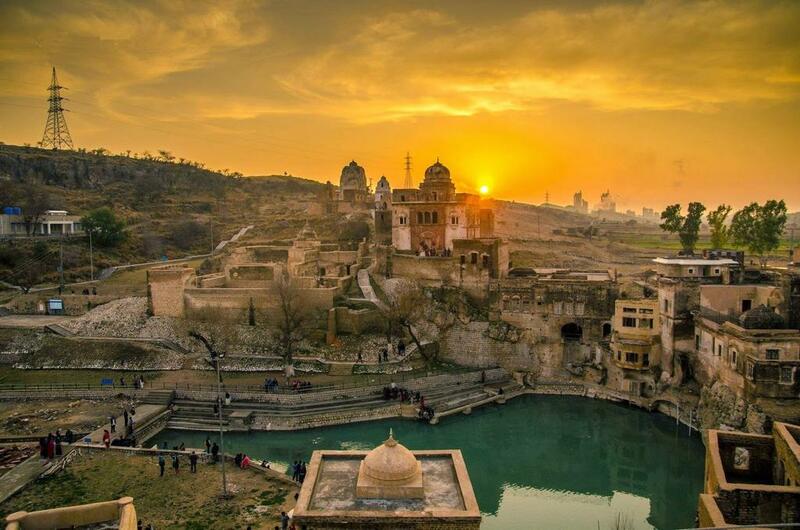 The Katas Raj Temple in Chakwal, Punjab. Remains of the Buddhist Stupa, the Katas site houses the Satgraha, a group of seven ancient temples. 8. Foreigners sidelining along the blue lines of Goa? The Arabian Sea says no! 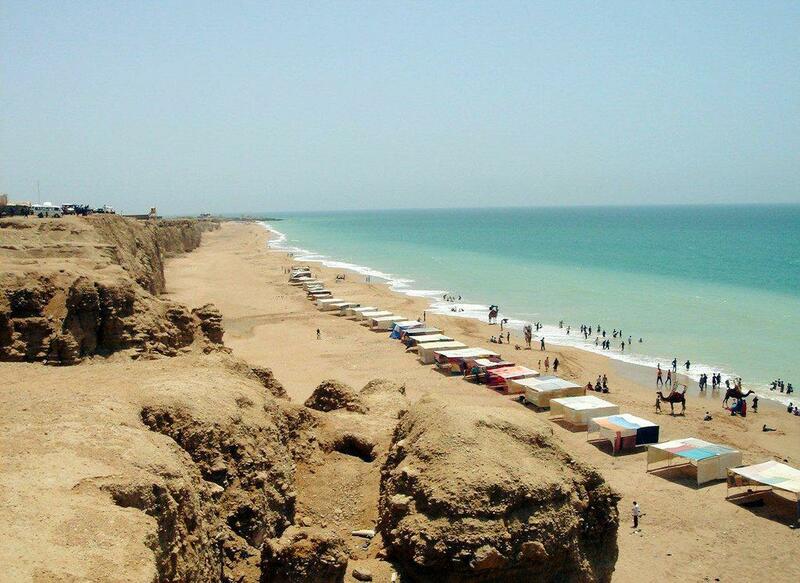 Cape Monze or locally known as Ras Muari, the Cape Mount Beach floats near the Gadani Beach, Karachi. 9. Stone-walls in the Grand Canyon or Mount Rushmore? 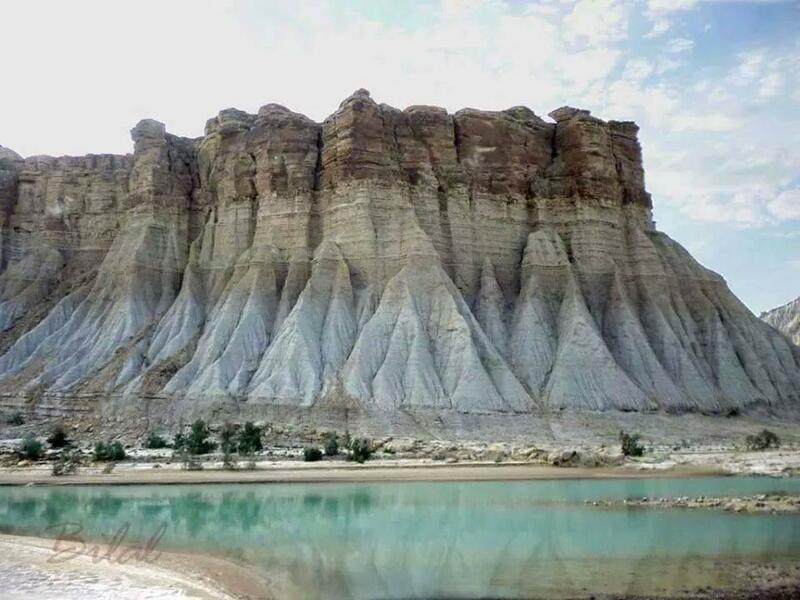 The muscled formation of Hingol National Park in Hingol, Balochistan. 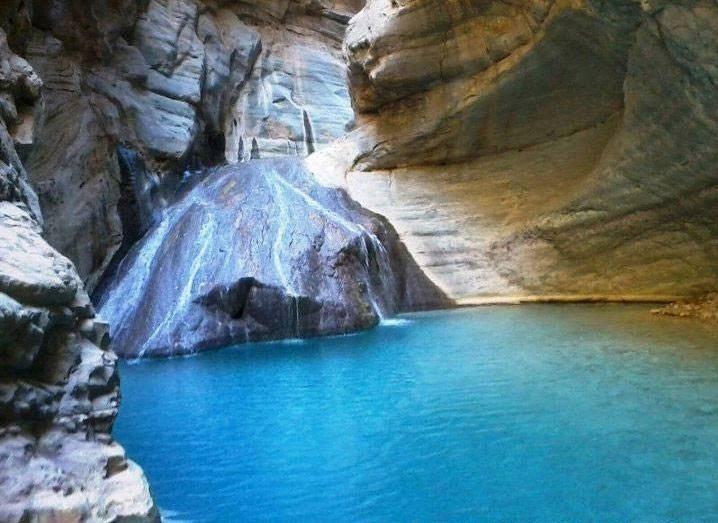 Home to exotic wildlife, the Hingol National Park can serve as a stupendous tourist spot. 10. An artist’s imagination as he draws a landscape in Iceland? 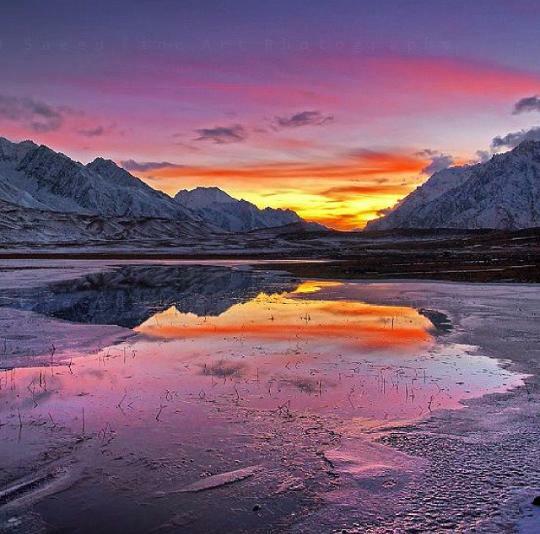 A view of the frozen sunset captured in Shandur Lake, Gilgit-Baltistan. Where the locals like to play Polo and live ordinary lives, Shandur serves as a tourist’s delight. 11. Wooden cottages on a lush top in Ireland? 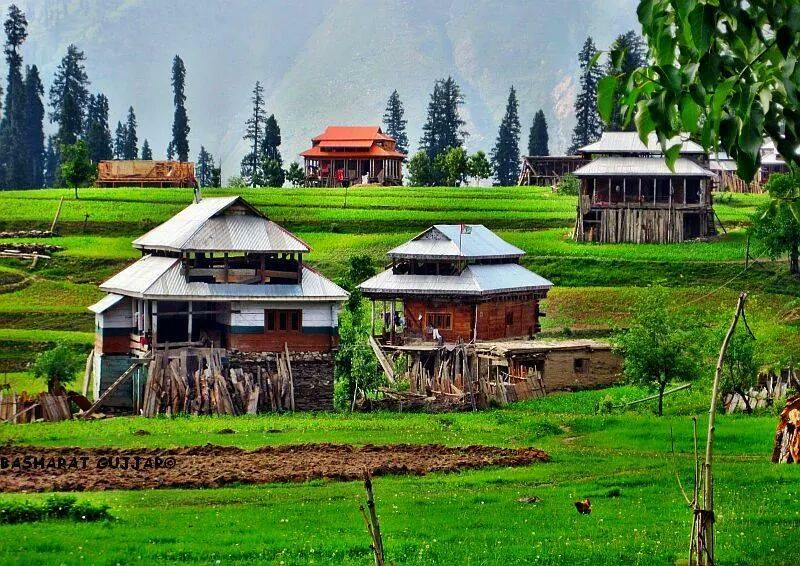 This astounding, lush green tourist spot is Arang Kel, Azad Kashmir. Located on an altitude of 8,379 feet, this striking sight is a 2km trek from Kel. 12. The dukes and duchesses of Scotland must’ve walked on these fields? 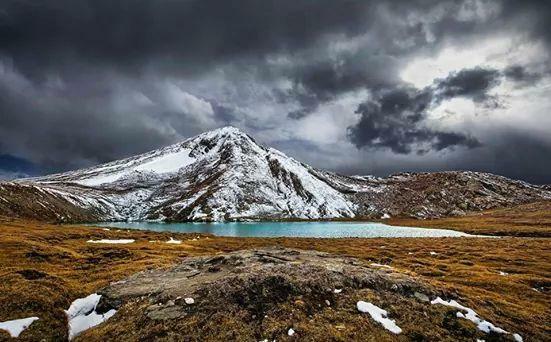 Overcast weather in Dharam Sar Lake, Kaghan Valley. 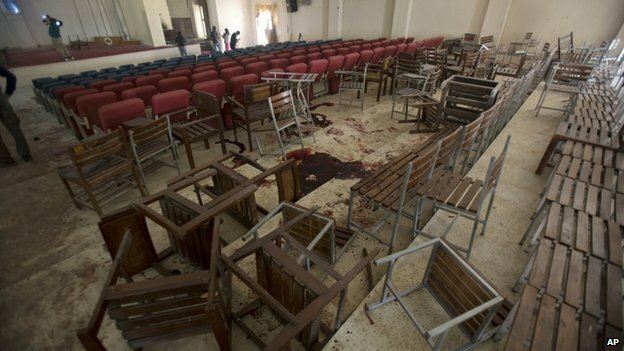 Resting in the Mansehra district of Khyber Pakhtunkhwa, this attraction was largely rebuilt after 2005’s earthquake. 13. A heaven to the foreigners. Must be Brazil or Chile? 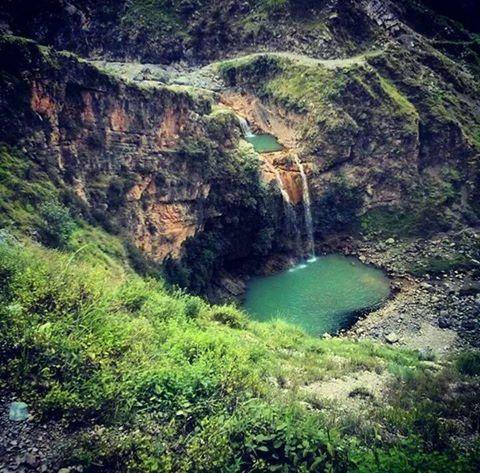 The double-bed waterfall rests in Sajikot, Khyber Pakhtunkhwa. 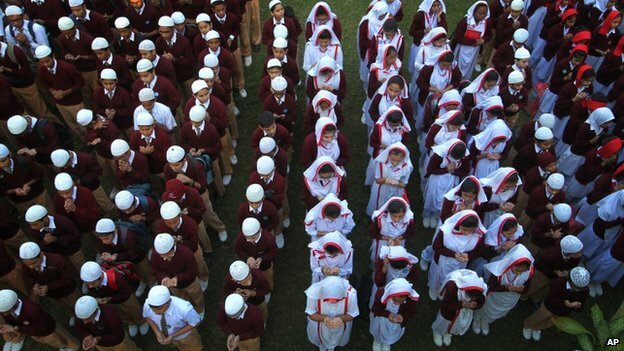 Stagnant in the Hazara region, Sajikot would put any South American country to shame. 14. An insight on the dazzling caves of South Africa? 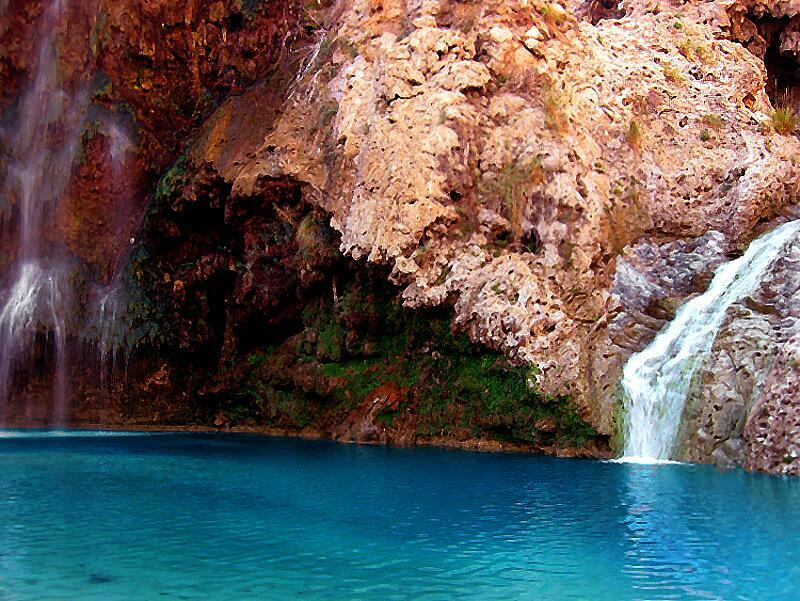 This tourism deprived sight is known as Moola Chotok in Khuzdar, Balochistan. Amidst tense hold of nationalists in the Jhalawan belt, Chotok seems like a lost cause. 15. Where are the tourists? This must lead to the Niagara Falls? Fortunately, no! 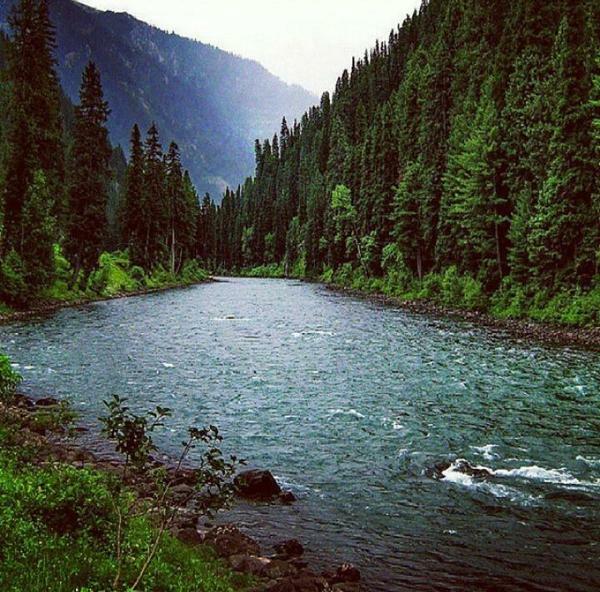 This peach of a view is from the Neelam Valley, Kashmir. One of the better tourist ranges in Pakistan, this valley is a 200km long bow-shaped, deeply forested region. 16. Book-cover material. Has to lie in the outskirts of Belgium? Wrong again! 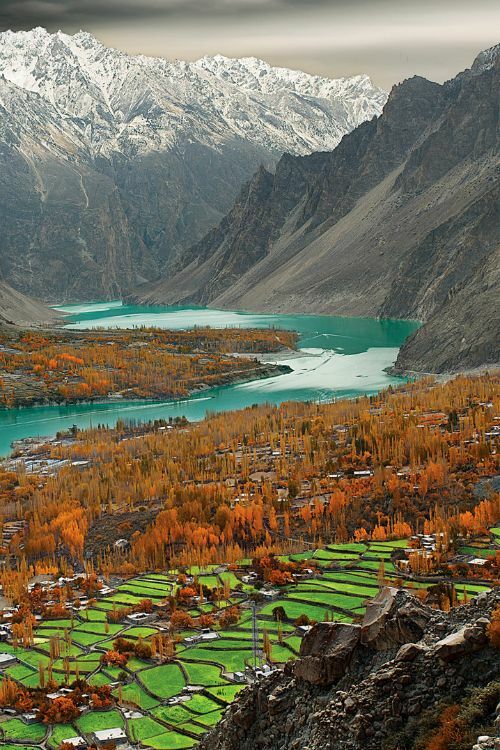 This shot from heaven was captured at the Attabad Lake, Hunza Valley. Created by a landslide in 2010, the locals like prefer referring to it as the Gojal Lake. 17. The astounding waterfalls from Leura Cascades, Australia? 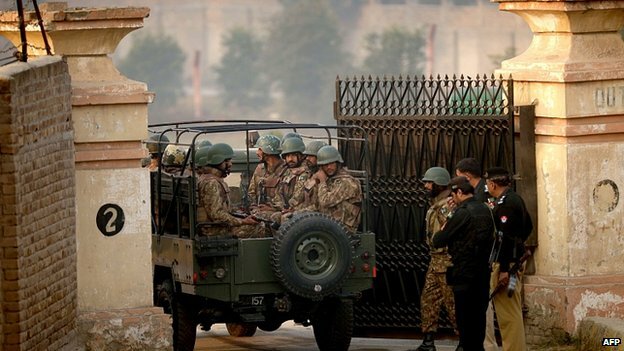 Pakistan's army says it launched air strikes at militants in the Khyber and North Waziristan areas. 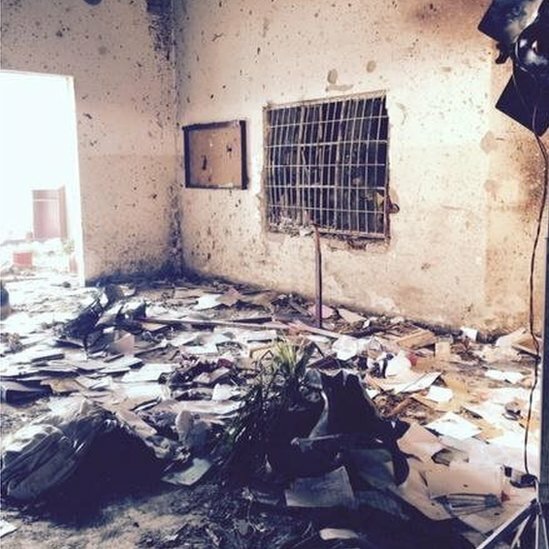 An offensive against the militants has been going on since June. 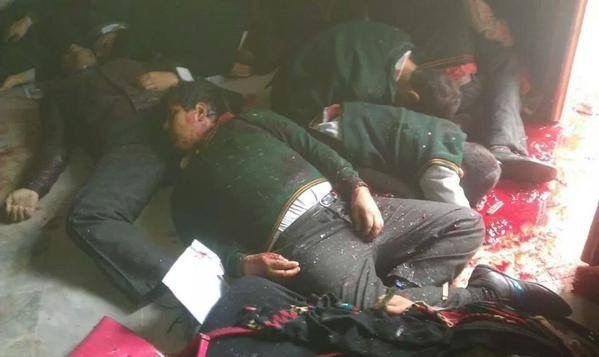 God help Pakistan to fight against internal and external extreminist and terrorists. 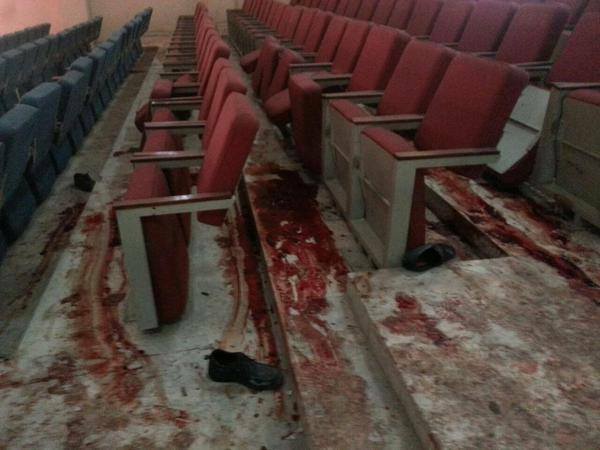 Long live Pakistan. 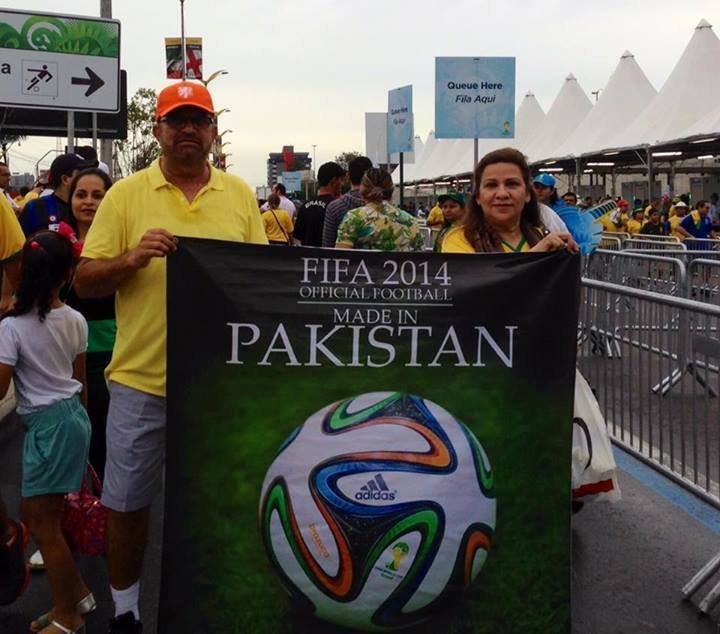 The 2014 FIFA World Cup is the 20th FIFA World Cup, a tournament for the men's football world championship, that is currently taking place in Brazil. Growing up among some of the world's highest mountains in the northern region of Gilgit-Baltistan Pakistan, Karim caught the skiiing bug early -- albeit with none of the expensive kit that many Western skiers grow up with. "I started skiing at the age of four years on wooden skis made by my uncle. 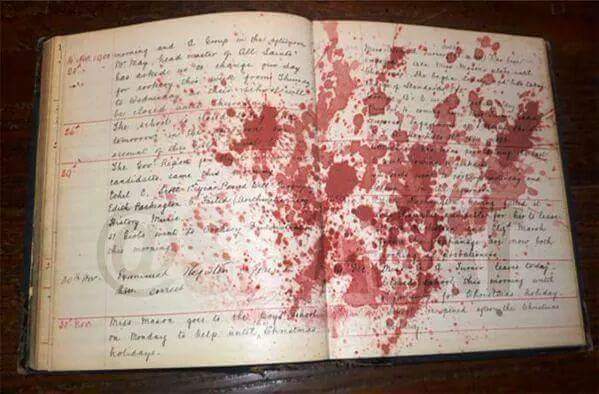 Our schools were closed in the winter and skiing was the only way to spend our holidays,” he told AFP. 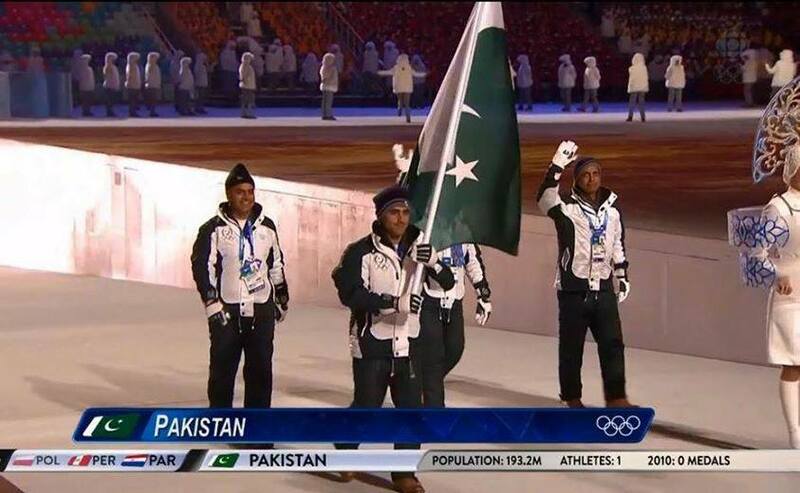 While Muhammad Abbas, who became the first Pakistani to compete in Winter Olympics in 2010, Karim was also expected to put up a good show. Abbas ended up performing better than many skiers from ski-developed countries. Even though this time the competition is tough, we want Karim to complete the spirit finish course and not fall down.